If you’re looking for a bit of a treat whilst staying in the Cotswolds why not take yourself out for a posh dinner at the Kingham Plough? This quintessential Cotswolds gastropub is nestled in the heart of the famous Area of Outstanding Natural Beauty. At just half an hour away from Buckland Court the pub is close to the popular market town of Chipping Norton. Run and owned by husband and wife team Emily and Miles, the aim when opening back in 2007 was to create a comfortable environment that is both relaxed and modern. 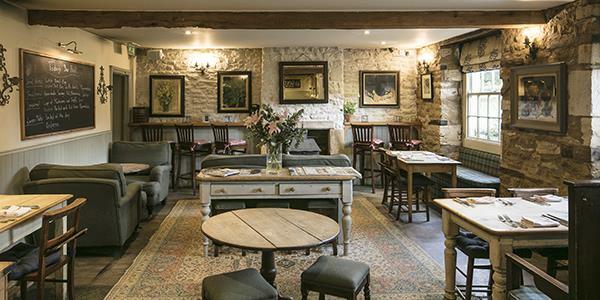 The high-quality dining experience offered at the Kingham Plough can be enjoyed by all, and it has a lovely friendly family vibe at its core. The inviting inn is located to the side of the village green in the peaceful village of Kingham. There is a pretty courtyard beer garden for those sunny evenings, and rustic, country interiors that are perfectly complimented by a delicious menu created from local produce. One thing the team are particularly passionate about is the quality and origin of their food. The location is ideal for picking up the very best of the area’s fresh produce and, where possible, they create all they can from things they can source locally around Chipping Norton. 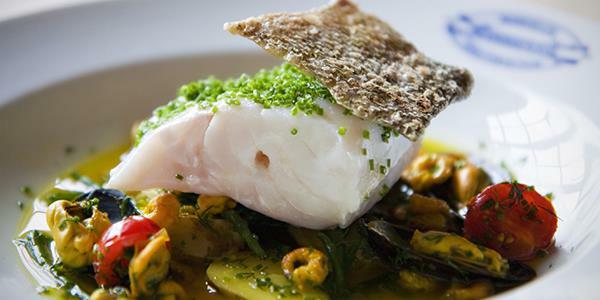 The food here is multi-award winning and the kitchen thrives on delivering interesting twists on popular British classics with a continually changing menu and something for all tastes. The establishment is the proud owner of a number of awards such as three AA Rosettes and is constantly being listed on ‘best restaurant’ lists. 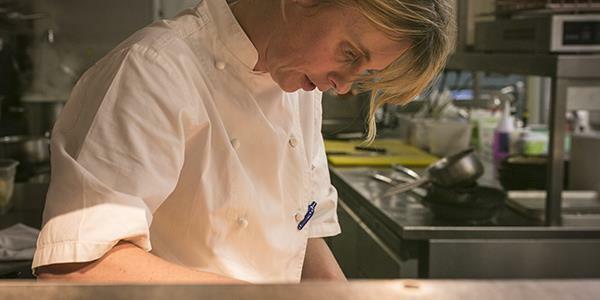 Chef Proprietor Emily Watkins trained in Florence and has since worked with Heston Blumenthal, The Hairy Bikers and Tom Kerridge, winning the BBC’s Great British Menu in 2014. The atmosphere and the staff in the Kingham Plough can’t be faulted for friendliness and you’re guaranteed excellent food. So, while you’re in the area make it your mission to pay a visit! Take a look at the website for a complete list of their awards and a taster of what’s on offer on the menu. The Kingham Plough is open daily from midday till close, with the A La Carte menu available on Mondays.